Amika George is the incredible force behind #FreePeriods campaign. Her mission? To end period stigma and fight for menstrual equity! She began her activism after learning that the lack of free period products in schools leads to as many as 1 in 10 girls to miss school regularly in the UK. 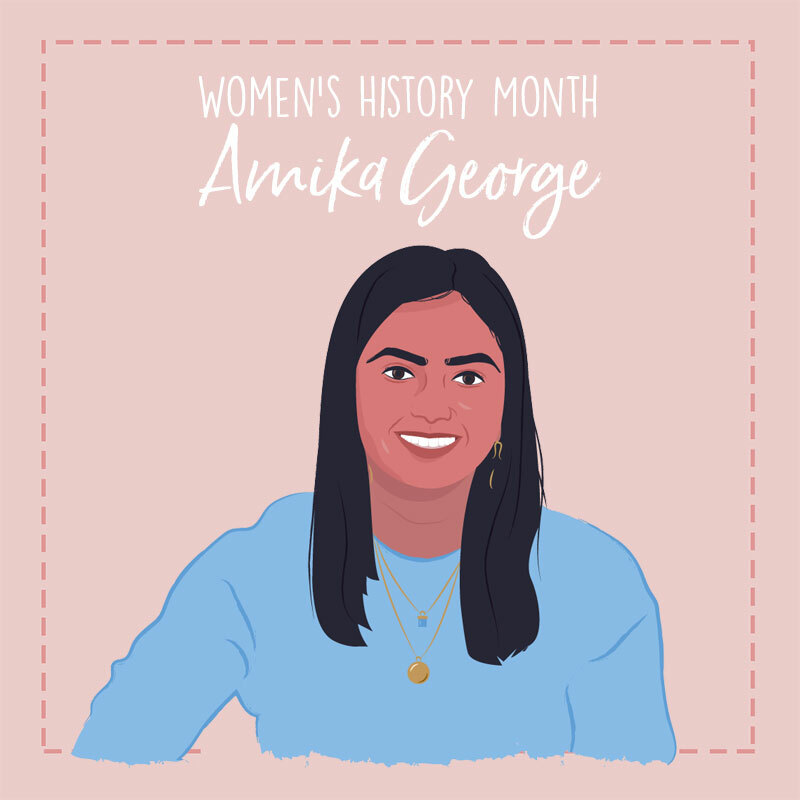 For the last two years, Amika has fought for free menstrual sanitary products for all girls in the UK who are eligible for free lunch meals. Since launching in 2017 (at the age of 17! ), her accompanying petition has gained over 650,000 signatures. A few months later, the government gave nearly $2 million in funds to address UK period poverty. What an incredible accomplishment for a grassroots campaign! As a true powerhouse of a woman, Amika hasn’t stop there. She is now advocating for a long-term solution to menstrual equity in the UK and globally. All it took was her period and her postal route to decide she needed to make change. Ella realised the horrifying truths of how much waste was being produced from something that happens just once a month. 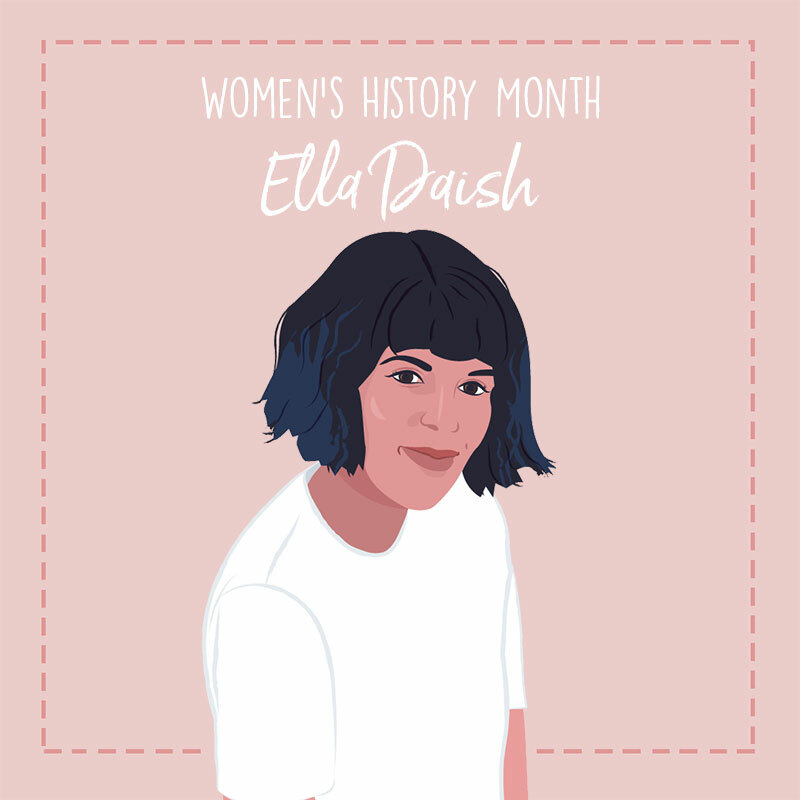 Ella is a true period pioneer, and we’re excited to see what incredible change she’ll make next. Erin Schrode is a rabble-rousing optimist and citizen activist. At the age of 13, she co-founded Turning Green to develop eco education and action platforms aimed to inspire and mobilize students around world to transition their lifestyles from conventional to conscious and be the change they wish to see in the world. 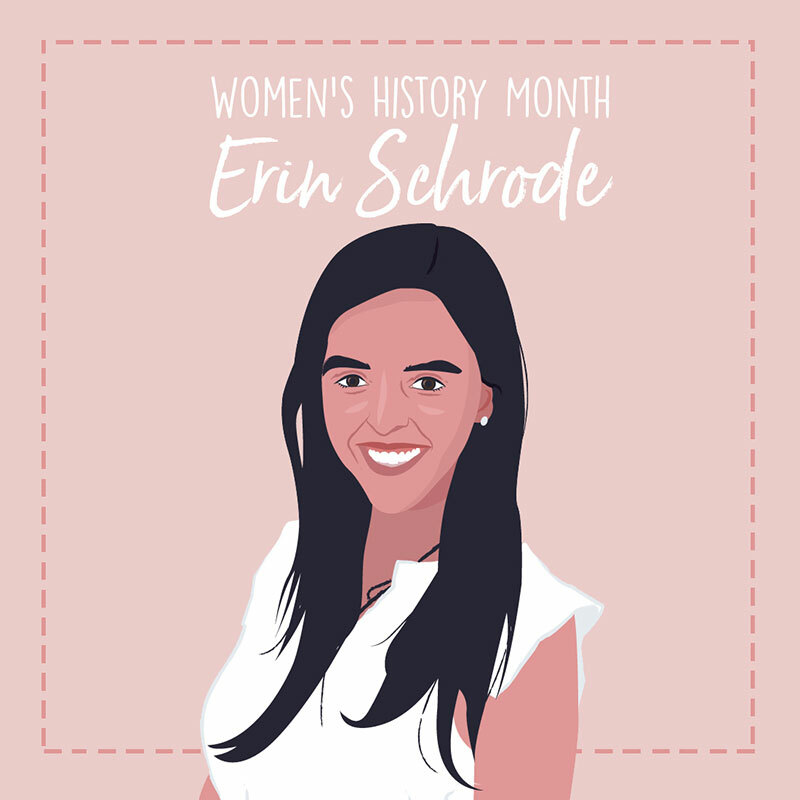 Connecting her passion with purpose and action, Erin later launched a youth education project in Haiti after the massive earthquake hit; gave aid on the ground with refugees in Lesvos, Greece amidst one of the largest modern humanitarian crises; stood in solidarity with Native Americans at Standing Rock; and in 2017 became the youngest women to run for US Congress. For the past year, Erin has led #ChefsForPuertoRico, the largest feeding program in Puerto Rico, serving over 3.7 million meals to those in need since Hurricane Maria, and now investing in sustainable agriculture and food systems throughout the island. 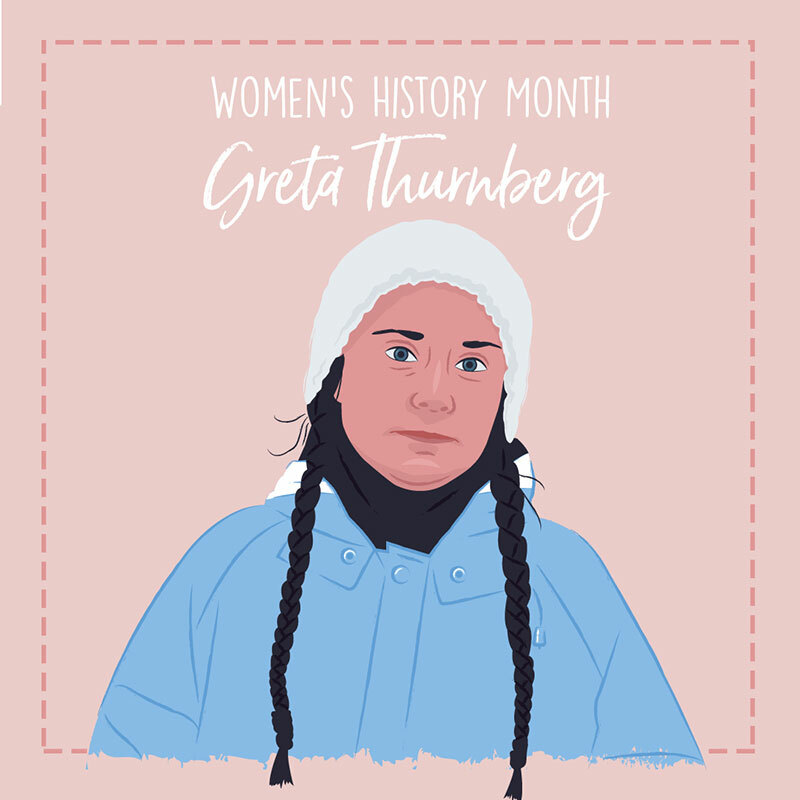 Though only 16 years old, Greta Thunberg is a powerful, astonishing climate change activist from Sweden. In August 2018, Greta helped organized the first school strike for climate that was held outside the Swedish parliament building. For weeks, she striked every day during school hours, demanding the Swedish government to reduce carbon emissions in accordance with the Paris Agreement. Her inspiring actions influenced more than 20,000 students in at least 270 cities to join the School Strike for Climate. Greta’s commitment for a comprehensive, urgent response to the threat of climate change doesn’t stop there. She has also addressed prominent world leaders at the United Nations Climate Conference and World Economic Forum to encourage and demand our world leaders to take the threat of global warming seriously for our today and future generations – at just the age of 16. Greta has also been awarded the Fryshuset scholarship of the Young Role Model of the Year and one of Time Magazines’ World’s 25 Influential Teenagers of 2018 – a well-deserved recondition! Balancing being a Harvard student, an author, an activist, a speaker, a director of an organization, and *breathes* running for city council – it sounds impossible, but Nadya Okamoto manages to make it look easy. 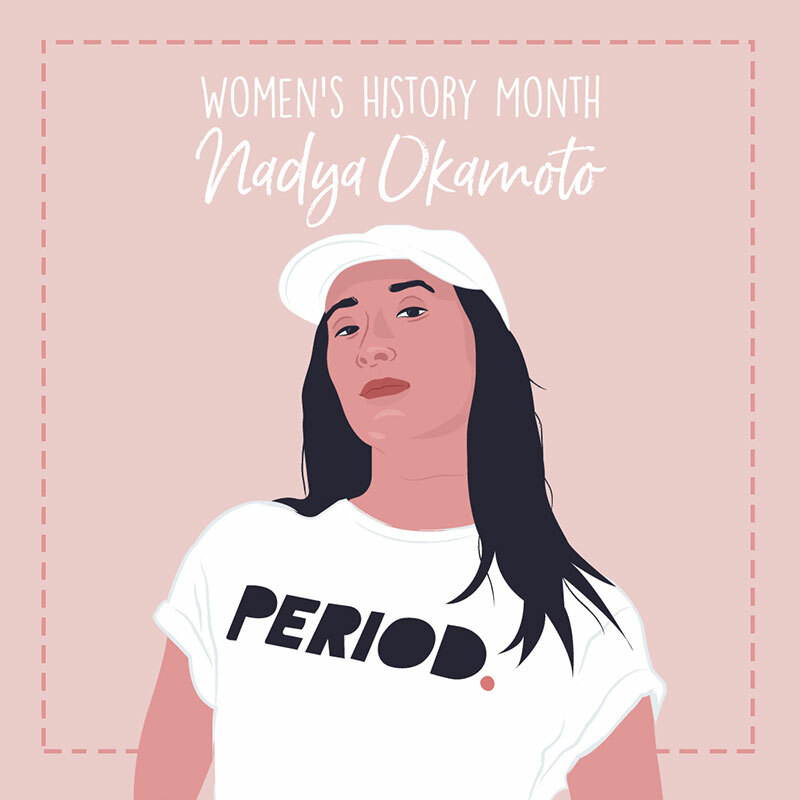 At just 20 years old, Nadya founded PERIOD – an organization that celebrates periods and helps to make period products available to those who need them the most. She’s also written her first book, Period Power, that uses her personal experiences to talk about period poverty, products, and even the way it affects different cultures. We WISH we had achieved that much before we were 21. 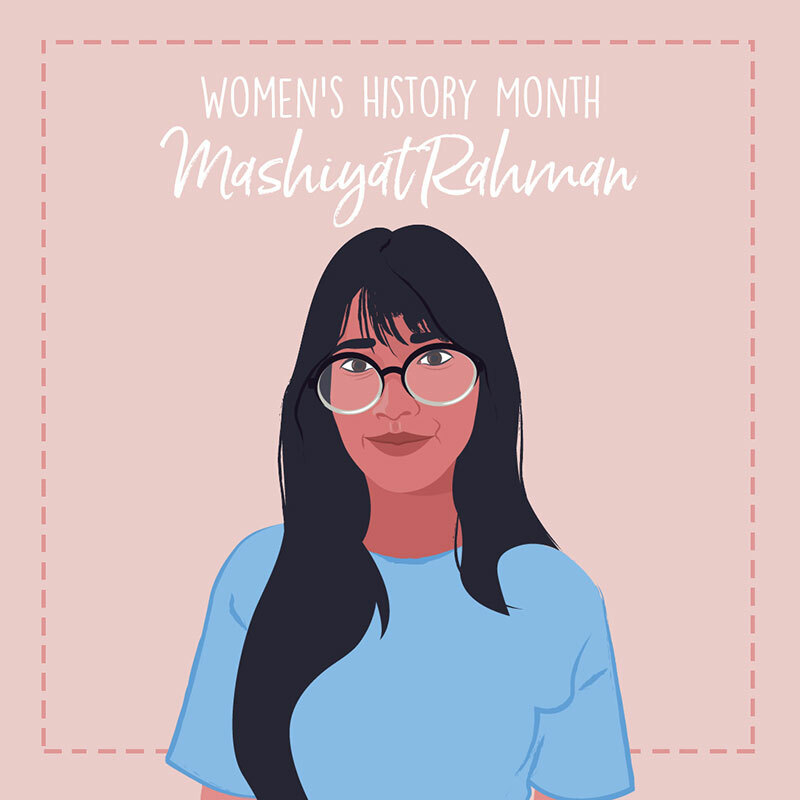 Mashiyat Rahman is the co-founder of Resurgence, a social business that aims to restore the rights and dignities of refugees particularly through low-cost, biodegradable period pads made from an aggressive plant species. Mashiyat heads up the managing, decision-making, planning, tracking and advocacy efforts in menstrual and reproductive health, and this incredible work and innovation has led her to win awards. Recognizing the need for social change and taking the time to actively pursue this in, might we add, an eco-friendly way, is something so admirable in our eyes. We all could be more like Mashiyat. 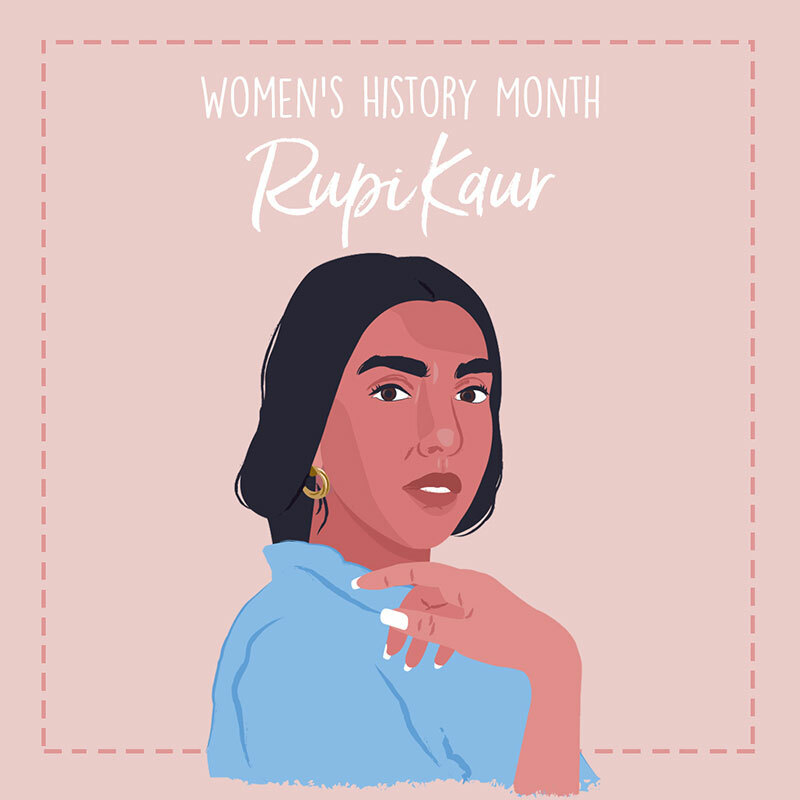 A poet, writer, illustrator, performer, feminist… we love Rupi Kaur’s creativity and openness on menstruation in her bid to try and normalize the topic. Rupi became a flag waver for periods when her Instagram photo series ‘period’ created some online controversy. The photo series was created to challenge the taboo around periods, and challenge it did. Her emails and comments were filled backlash – even death threats – and Instagram took down these photos, not once but twice for “violating its community standards”. You can read more about it here. But the attention helped bring periods to the forefront of conversation and that’s something we’re always here for. 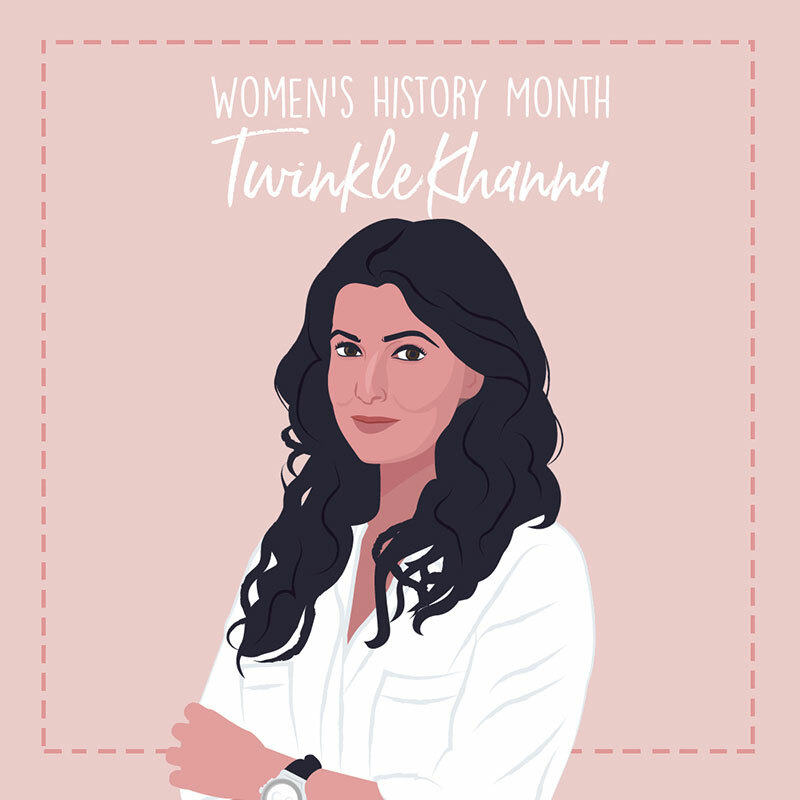 An Indian author, newspaper columnist, and actress, Twinkle Khanna has earned numerous accolades for her work with female empowerment, women entrepreneurship, and menstrual equity. In 2018, Twinkle produced Pad Man, a revolutionary film inspired by the true story of Arunachalam Muruganantham, a social activist from Tamil Nadu who set out to create affordable pads after learning his wife has been using dirty rags because of high cost. And her next short film, First Period, will explore menstruation from a boy’s point of view in a world where no woman exists. We admire how she intertwines powerful narratives and activism in her films to inspire hope for menstrual equity, smash the stigma around periods, and open the conversation of affordable sanitary products in developing countries. Which women are inspiring you? Let us know by tagging us @natracare over on Instagram!